I’ve been travelling for the last few days and haven’t had access to anything other than my iPhone. A few days without a computer is a blessing rather than a curse, but it did mean that I wrote today’s post (‘Time’) in the middle of last week before I left, and scheduled it for publication today. In that post I was in a rather sombre frame of mind, I guess, wondering why I spend quite so much time doing things like stitching. Well, just as I was about to set out on my journey on Thursday morning, I did a final check on my email and was thrilled to ribbons to find one from Brenda Gael Smith who is curating the Living Colour touring textile exhibition. Brenda congratulated me on the selection of my textile work for this exhibition – one of 32 entries selected from a total of 177. I haven’t previously mentioned on this blog that I put in an entry for Living Colour in the middle of last month. I’ve never done anything like this before, and I’ve not had any work exhibited previously. So I’m sure you can understand why I might be so pleased. Being due to leave the UK for several weeks, I had to put on a turn of speed to get the work despatched to Brenda. This necessitated a detour from the M6 Southbound, to buy a padded envelope of appropriate dimensions at Staples, packing the work up in the hotel on Thursday evening and then a rapid trip to the post office on Friday morning. However, it all worked out without mishap, and I’m keeping my fingers crossed that it arrives safely in Australia within the next couple of days. So what’s it like, this great work? I don’t have a photograph of it to hand (I’m not writing this on my own computer with all my stored pictures), but Brenda is publishing previews of the selected pieces of work in the period before the exhibition opens, and there will be images of all the works on the Living Colour website before too long (click on the link or on the Living Colour logo above). A brief description of my work: it’s 100cm x 40cm (which are the prescribed dimensions) and it’s constructed out of squares of my naturally-dyed fabric. There are 160 squares in the piece, all of which I have embroidered. It took ages, and I’ve been busy on it for months. The title of the piece is ‘Madder and friends’ and it demonstrates how easily and well naturally-dyed colours go together. The predominant hues are variations on the reds/browns/pinks that you can derive from madder, but there are also some squares dyed in logwood and goldenrod (the ‘friends’) to provide contrast. The acceptance of my piece into this exhibition does make me feel that all the time I’ve spent on stitching, especially over the last few years, has not been wasted. In any case, as I said in my post earlier today, I’m going to carry on regardless but it’s just really nice to have some external validation and recognition. I have to say straight away that I chose quite a difficult way of building my website. 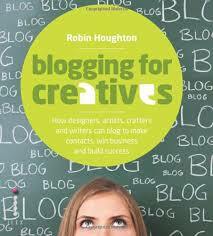 About a year ago I bought a book, ‘Blogging for Creatives’ by Robin Houghton which impressed me greatly. It’s a very attractive book and it seemed to a complete novice like me to offer a lot of really useful guidance. The author explains the most popular ways of establishing a blog, some of which sound really easy, like using Blogger or WordPress.com. But another option is to have a self-hosted blog via WordPress.org (which is very different from WordPress.com, it seems). The big advantage of doing it the self-hosted way is that you can create your own website, as well as a blog. I really wanted to have a website, with a blog embedded into it, rather than just a blog, so I thought that the self-hosting option might work best for me. I read around it on the internet and decided it was something I could just about manage if I put some time and effort into it. I’d describe myself as fairly computer-literate but I’m not an expert computer geek by any means. First step was to get a webhost and buy a domain name (that’s the catherinegowthorpe.com address). I compared various webhosts, and went for Vidahost which gets good reviews in the UK. This was fairly straightforward but I did need to contact them with a query almost straightaway. The reviews I’d read suggested they would respond quickly. I timed it and the response to my query came in 12 minutes and sorted me out, so well done Vidahost. This is one satisfied customer. Next step was to install WordPress, which Vidahost organised for me, so no hassle there. Then I had to think about a theme, which provides the basic look of your website – although there are loads of options for creating your own design. There are many free themes but some people recommend going for a paid theme because you get a better product. 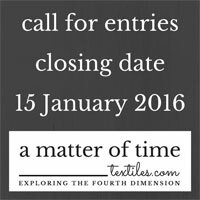 I remembered reading something about this on the website of a quilter in Australia – Brenda Gael-Smith. Brenda not only produces lovely quilts, but also provides web design services, so she knows a thing or two about this website business. She recommends the Prose Theme by Genesis which has the huge advantage (for me at least) that you don’t have to write any code in order to tailor the theme for your own use. (I’m prepared to put a bit of effort in but I draw the line at writing code ). I read lots of information and reviews on the internet about the various options and eventually bit the bullet and bought a copy of Prose ($84.95 if you’re interested).